Carpets need cleaning to get your deposit back? Aquadri had a call from a customer who needed their carpets cleaning quickly, as they were moving out of house. 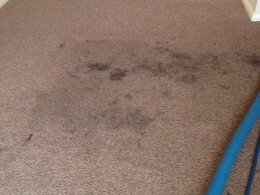 Unless the carpets were cleaned our customers letting agent told them that they would lose their rental deposit. When we arrived at the house, we soon discovered that some of the stains had been on the carpets even before they had moved into the property, which was some 18 months before Aquadri arrived on the scene! Needless to say, Aquadri gave all the carpets a really good clean and the customer was really happy… and yes, they did get their deposit back! Clean carpet looking as good as new!